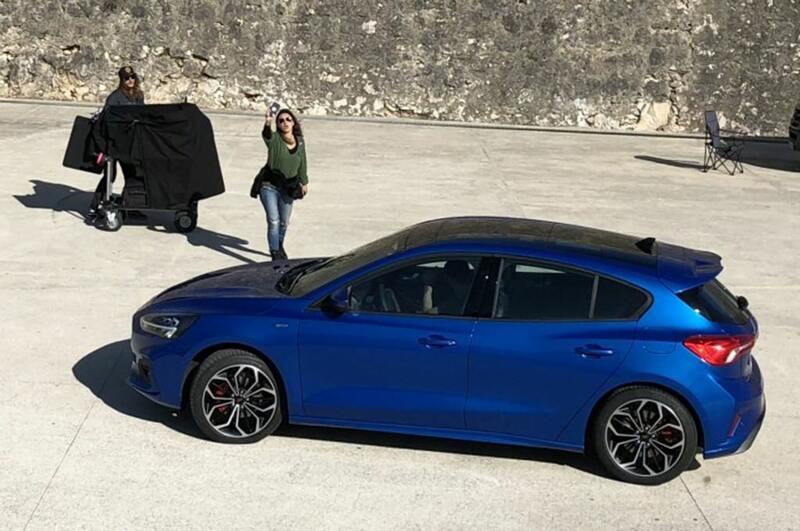 According to a Google translation of Hungaryâ€™s Vezess, the above photo was taken by a reader in Portugal who appears to have caught Ford shooting a commercial or promo for the new Focus. It also sounds like the workers were less than thrilled to see him. â€œHi, I think I saw the new Ford Focus in Cascais,â€ the reader wrote in an email to Vezess. â€œI was not able to observe more because they were chasing me. The woman in the middle yells not to take a picture.â€ But take a picture he did.